Dean Winchester (or sometimes Jensen Ackles) Fridays make me a very happy fangirl. You'll see why when you look at the pic. This is probably a very appropriate Friday the 13th photo. 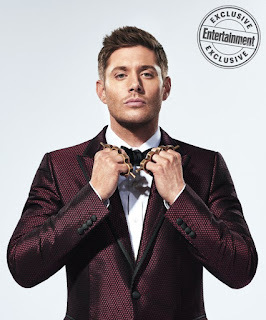 Dean Winchester is such a handsome guy even i am his fan. Plus the release of his coming magazine for Halloween looks so amazing. Great share!